and Sustainable Tourism’ is a two year pilot project running from June 2011 to June 2013. 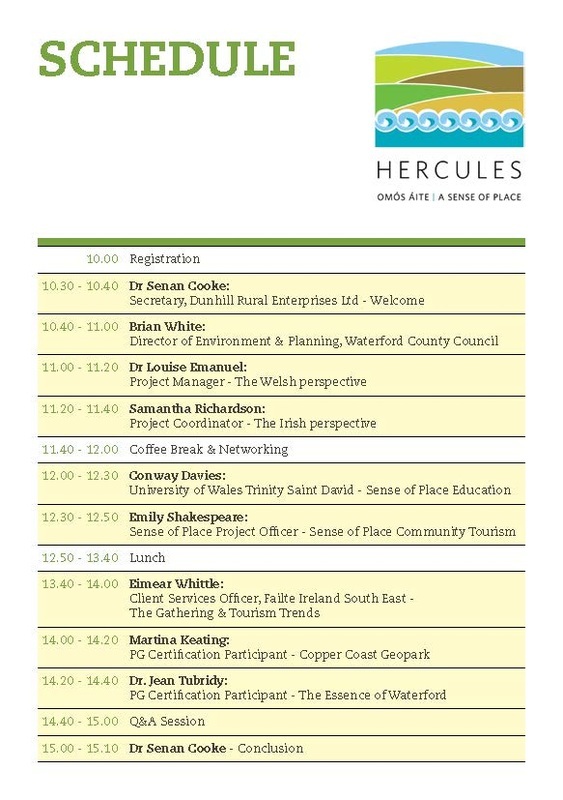 It is piloting an innovative education and community development approach to empower communities to develop sustainable cultural tourism products built on 'Sense of Place' in County Waterford, Ireland and Carmarthenshire, Wales. The project forms a partnership between Dunhill Rural Enterprises Ltd, Waterford County Council and the University of Wales Trinity Saint David. It is part funded by the European Regional Development Fund (ERDF) through the Ireland Wales Programme 2007-2013, (Interreg4a). 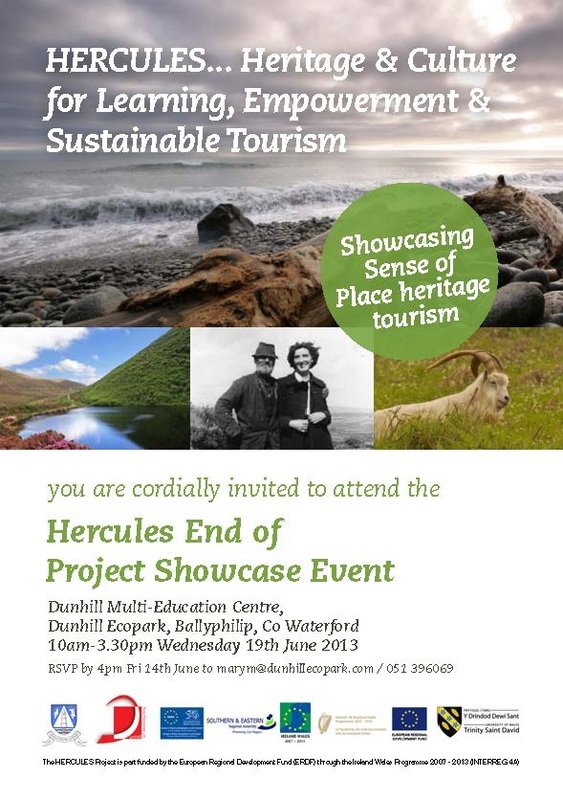 The project is also supported by Faílte Ireland, Copper Coast Tourism Committee and the Comeragh Community Development Group. What is 'Sense of Place'? special characteristics such as people, sports, agriculture, architecture, culture, arts, heritage, religion, the local economy etc. How does sense of place enable job creation? The heritage assets of our communities possess a variety and richness, a uniqueness of place that is of No.1 interest to visitors. Our landscapes, environment, gardens, songs, music, dance, folklore and stories, architecture and ancient structures all captivate the imagination of visitors which gives genuine potential for job creation through the development of products and services built on these assets. If you have set up or would like to set up a tourism enterprise or project and would like assistance on how to make the most of your community's sense of place assets to enrich your tourism offering we can help.